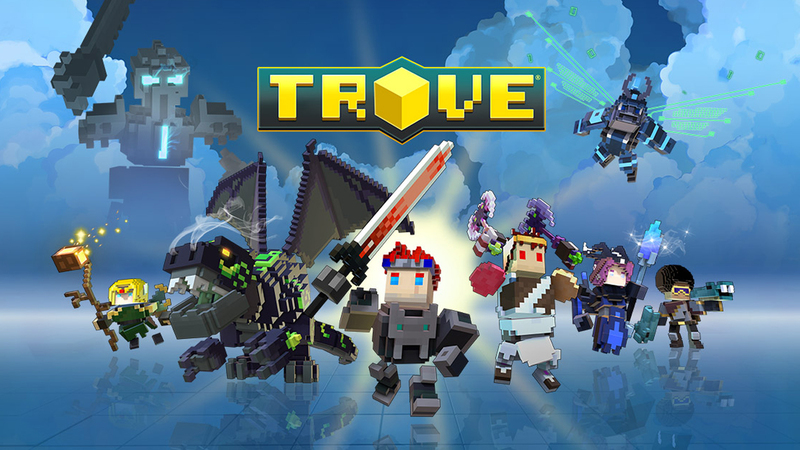 The popular free to play game Trove has now been released on the PS4 and XBOX One, and is keeping its Free price tag! This Massive Action RPG features procedurally generated worlds filled with monsters to pulverize, dungeons to explore, and loot to find, all with a quirky blocky art style that Trion definitely makes the most of. Currently sporting 14 playable classes you can dive right in with any of your choice, with the ability to earn in game currency to unlock the rest, or just buy them outright if you’d like more variety out the gate, and unlike other games no matter what class you are playing your character remains the same, so try whatever you like, you’ll still be progressing and earning gear without backpedaling! The game even on PC has always had a very simple control scheme, with each class sporting 4 key abilities and a lot of emphasis on moving around and timing than complicated combos, so it is very well suited for a console space where usually these kinds of games can be hampered by the lack of a full keyboard to control your character on. More than that Trove supports a very Drop in and get to adventuring play style, with the ability to jump straight to a friends side for adventuring or even a stranger who happens to be in the same realm as you, so it should just be more convenient and more fun now that you’ve got more options to play!